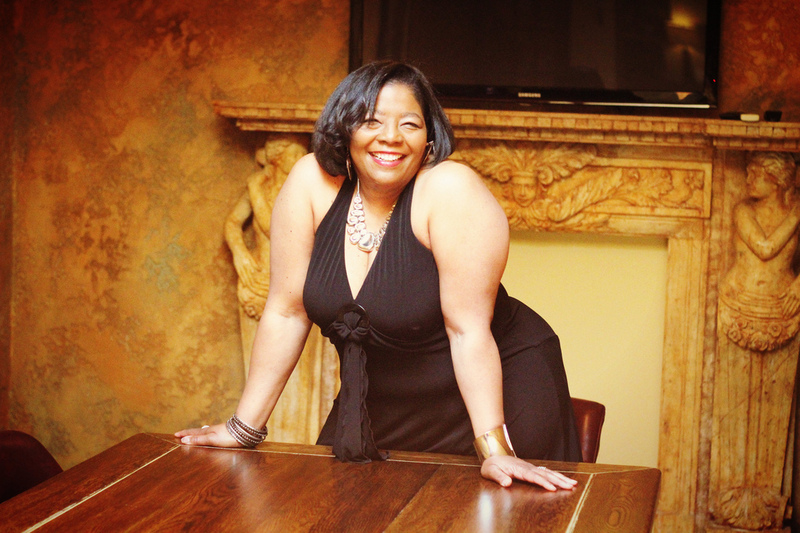 This beautiful lady who’s voice has been described as soulful, velvety, and rich will be performing Wednesday June 10th with one of Tulsa’s finest keyboardist, Scott McQuade for Jazz Night at Main St Tavern! Cynthia Simmons has wowed audiences around the state for several years now and she makes it look effortless. 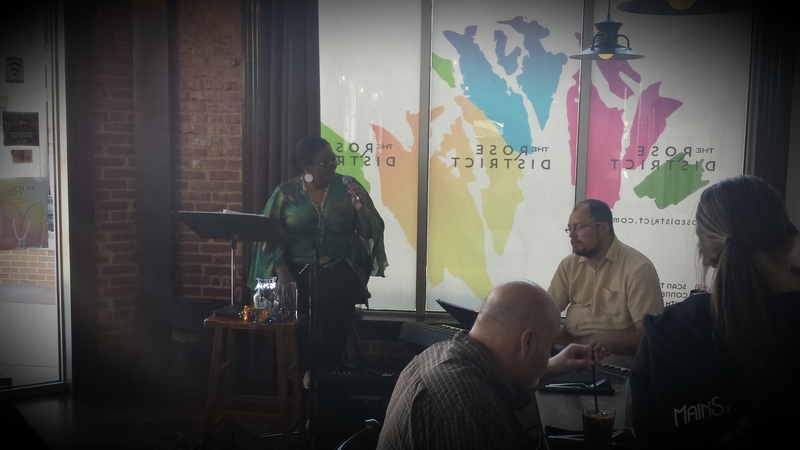 Tulsa Jazz Music Group, formerly the Tulsa Jazz Group, is honored to be able to say we have been there every step of the journey so far and that Cynthia is a joy to work with. Her fellow music professionals feel the same way when describe working with her using words like “fun”, “easy to work” with and “consummate professional”. 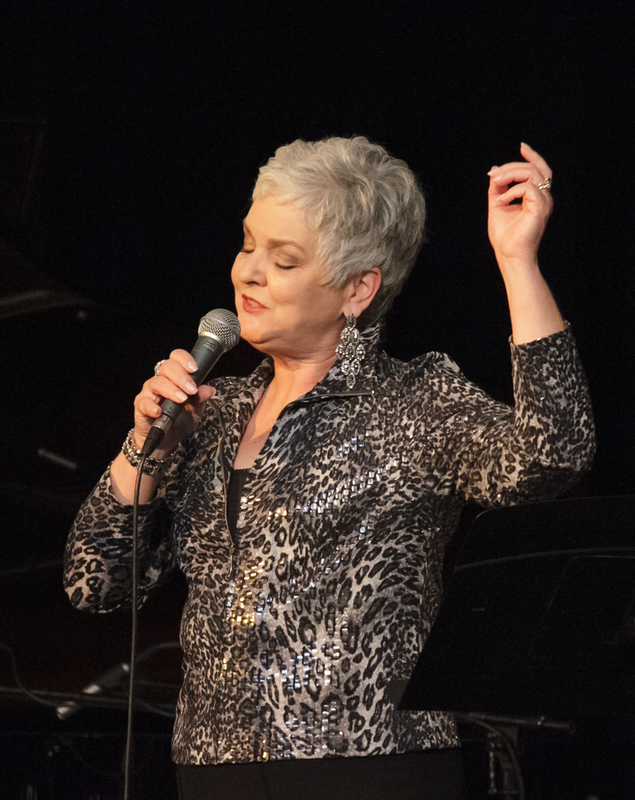 According to vocalist and bassist Sandy Gardner – who should know – the title of her Sunday Jazz Depot show can be taken a couple of different ways. “It seems like every time I’m on stage, people want to see what shoes I’m wearing,” she says, laughing. “I guess over the years I’ve collected a pretty cool set of snazzy high-heeled shoes. But beyond the cute-shoe angle, it really refers to the music I’ve selected for this concert, because it encompasses music, from a lot of different eras, which has meant a lot to me in my life. However, she notes, those classic numbers come from only one of the musical eras she intends to spotlight in the show. She also came up with another inspiration for a two-song medley, thanks in part to her friend and jazz activist Jeanine Rhea. 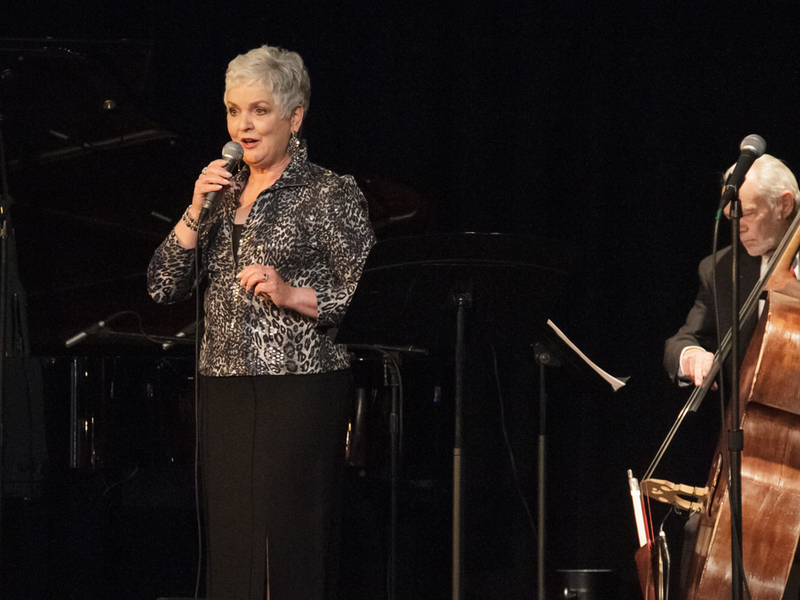 She also plans to put her own spin on such 1960s chart toppers as the Classics IV’s “Traces” and the Turtles’ `Happy Together’ – songs that she and her husband have seldom performed together in their decades of working together onstage. In addition to Chuck on piano, Sunday’s ensemble includes Mike Bennett on trumpet, Jim Bates on bass, and Tony Yohe on drums, with Bates planning to switch to guitar for a couple of duet numbers with Sandy. All of those are very familiar names to area jazz fans. Add to them a special guest whose name isn’t well-known. At least, not yet. “Sam Troxel is a young man, a sophomore at Union High School. He’s been studying piano about 10 years with Diana Franchini, who happens to be a member of our church,” says Sandy. “She called Chuck and said, `This kid is amazing, and I’ve taken him as far as I can take him in jazz.’ So she asked if Chuck would work with him. 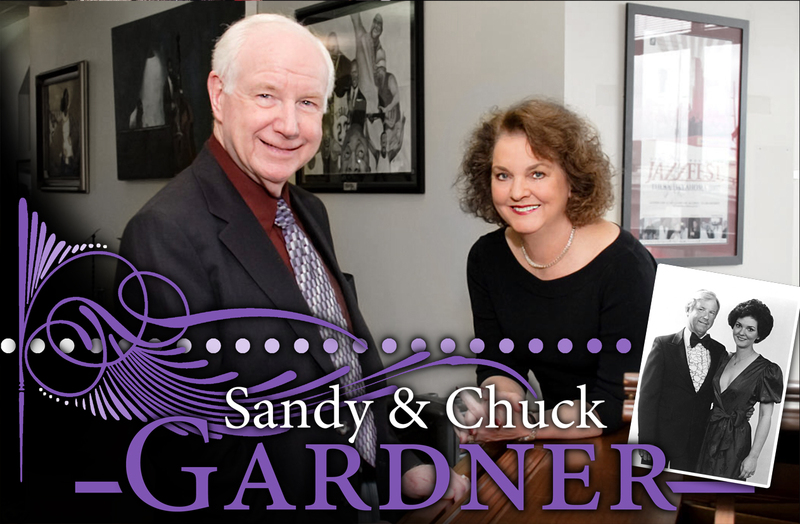 Sandy Gardner “In Her Shoes” is set to begin at 5:00 p.m. Sunday, November 23, at the Oklahoma Jazz Hall of Fame, located in downtown Tulsa’s Jazz Depot, 111 E. First Street. 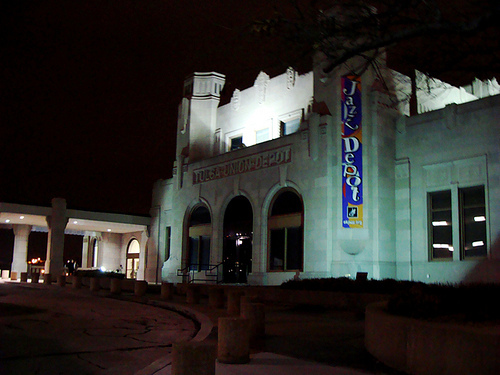 Tickets can be purchased at the Depot, from www.jazzhalltickets.com or by calling 918-928-JAZZ. General admission is $15, reserved table seating $20. Seniors and Jazz Hall members are admitted for $10, and high school and junior high students for $5. 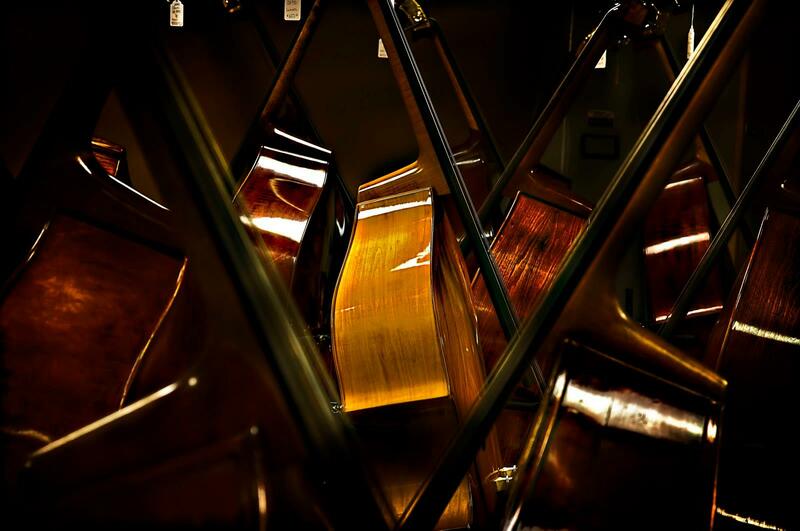 The show is a part of the Jazz Hall’s 2014 Autumn Concert Series. Rooted in tradition, but also deeply committed to innovation, Mischievous Swing is a refreshing voice in both jazz and acoustic genres. Covering the rich scope of jazz, the quartet’s music invites you to experience the rhythms of Latin America, the sounds of French cafes and gypsy camps, and the swing of jazz clubs in New York, Chicago and Kansas City. 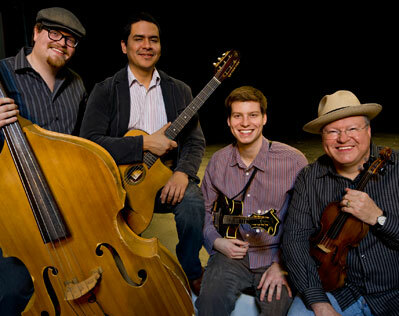 Mischievous Swing is made up of Isaac Eicher, known nationally for his prowess in mandolin contests; violinist Shelby Eicher, who was a member of Roy Clark’s band for 15 years; virtuosic gypsy-jazz guitarist Ivan Peña; and bassist Nathan Eicher, who holds a master’s degree in jazz studies. Bound together by family and deep musical friendship, this is a tight band that celebrates the joy of making music. July 13 at 7:30 p.m.; July 14 at 2 p.m.